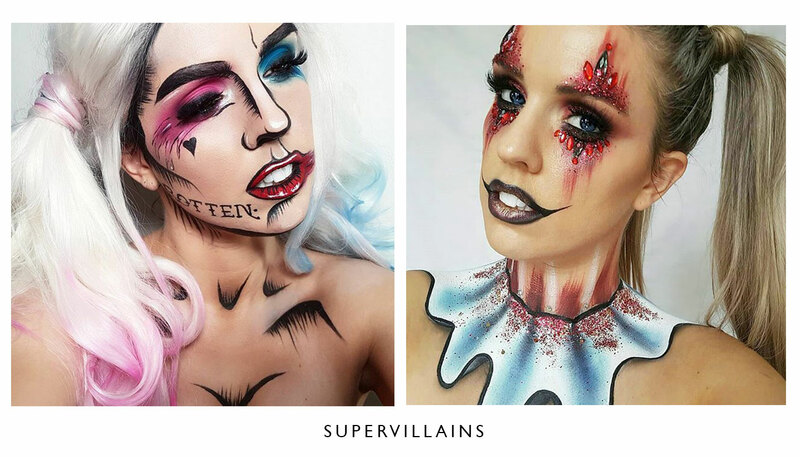 A full application of special occasion make-up with a Halloween twist. 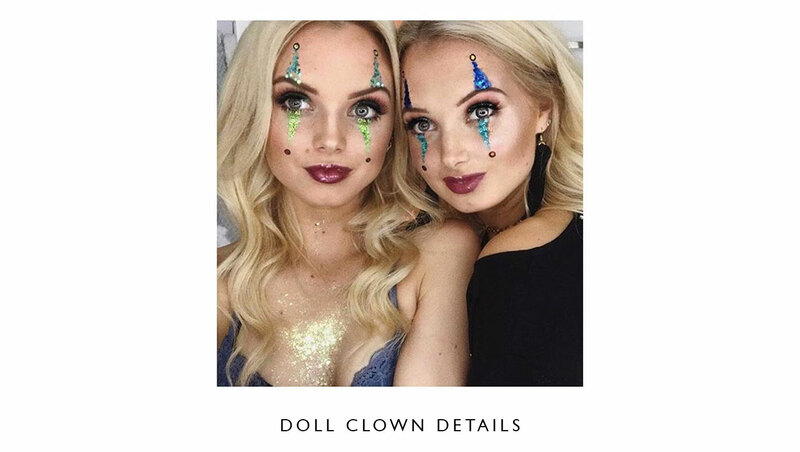 This can include fake blood, glitter, jewels or any other details you need to put the finishing touch to your costume. 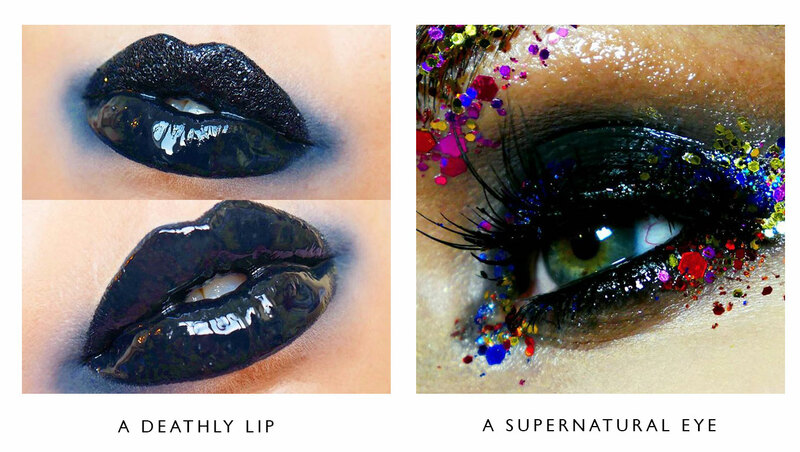 Contact us after you book to explain the detail you would like. 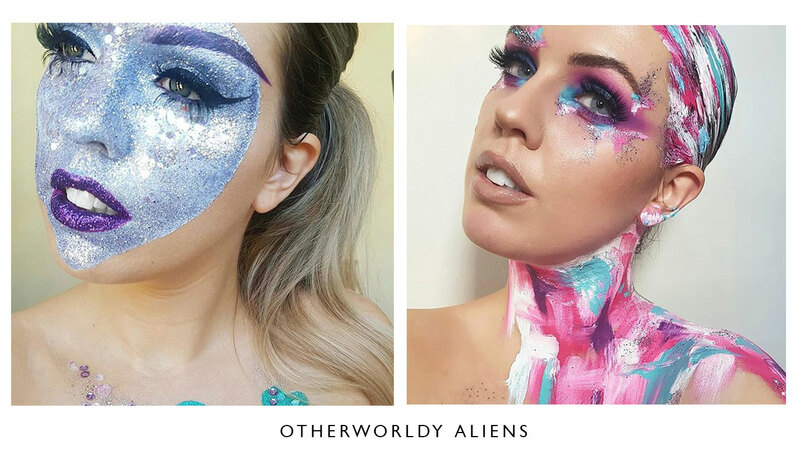 The makeup look that requires no costume. 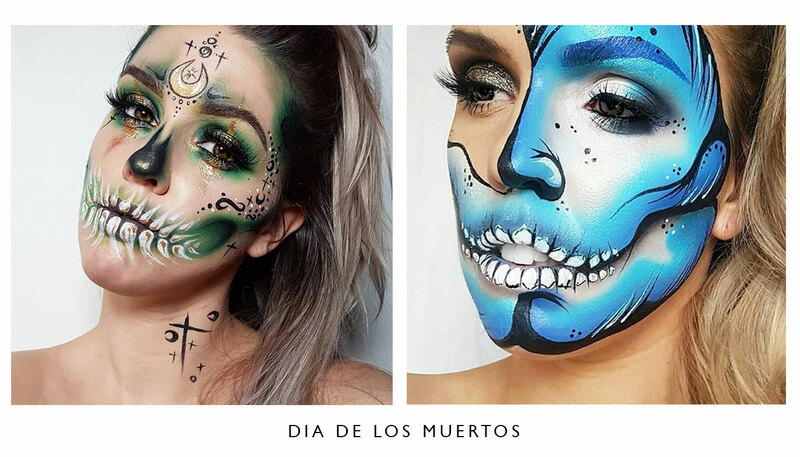 Go Mexican as part of the Day of The Dead celebrations, or take your pick of any Disney or superhero film characters. 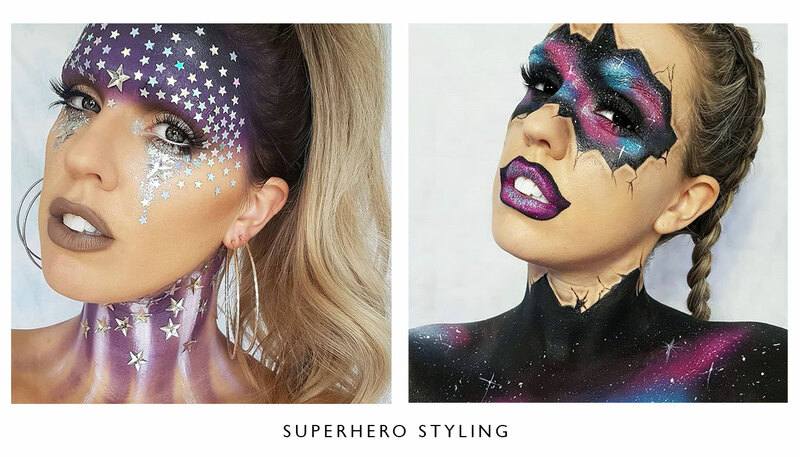 Our make-up artists will need to prepare the unique elements for your face paint, so make sure to send us pictures of your desired look. 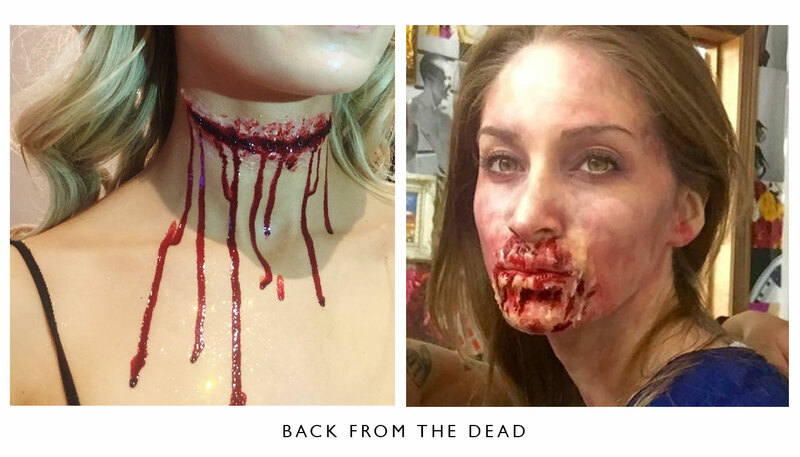 A gory look for Halloween including make-up of your choice with additional SFX from our elite make-up artists who create bruises, cuts and scars so real that you might end up in A&E. 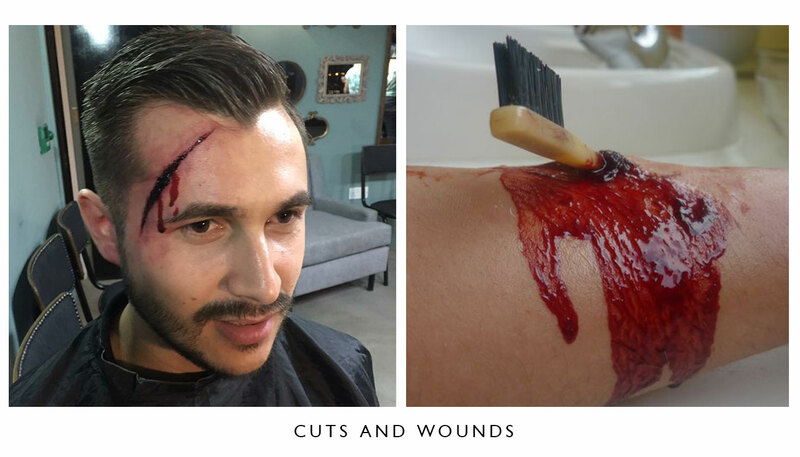 Your wounds will be made in advance so please let us know your requirements a few days before your event. 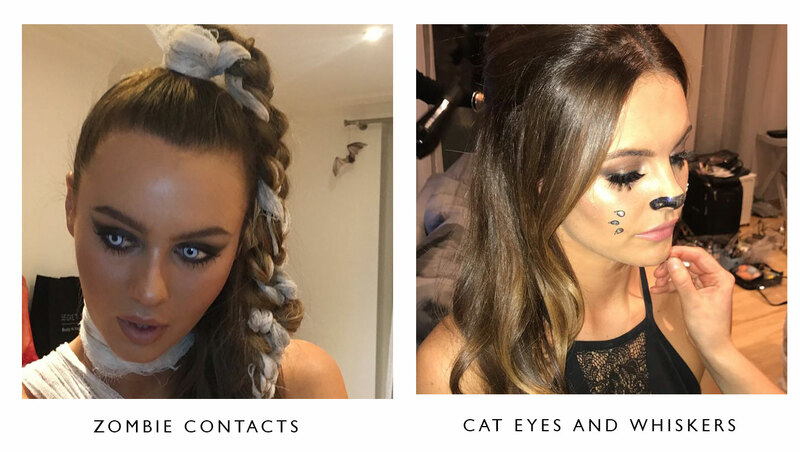 Use our app or website to book make-up and hair services to your home.